Republicans in the US Congress have seized on news that Tehran has convicted a Washington Post reporter of espionage and other charges, and are urging the White House to slow down on implementing a nuclear deal reached with Iran in July. They say the conviction of Iranian American Jason Rezaian proves that Tehran can’t be trusted and that the nuclear deal has only strengthened the resolve of hardliners there. “President Obama’s gamble that a nuclear deal would lead to a more responsible Iran has already failed. This sham of a trial violated every international standard and made a mockery of Iran’s own legal system,” Republican leaders said in a statement. 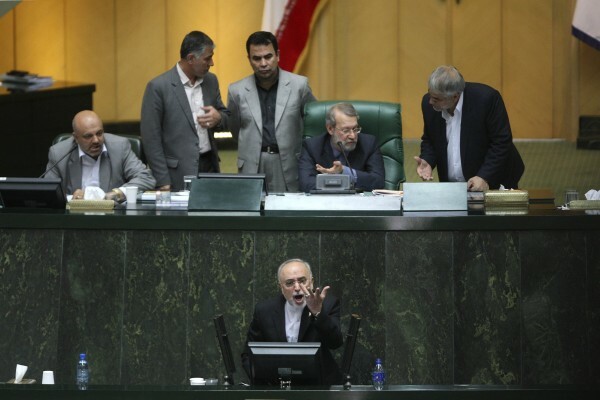 Their renewed criticism comes as Iran’s parliament on Tuesday ratified the nuclear deal with the expectation that it would be formally adopted on Monday. But the parliament also warned the permanent members of the UN Security Council and Germany that if sanctions are not lifted, or that there is any other similar violation of the deal, Iran would unilaterally speed up its uranium enrichment program. The agreement announced during a news conference in Vienna attended by Iranian Foreign Minister Javad Zarif and the EU’s High Representative for Foreign Affairs and Security Policy Federica Mogherini last July stipulates that Iran will freeze its nuclear program for at least 10 years. Iran has always maintained that its program is for civilian and peaceful purposes. While Iran will be allowed to continue nuclear research, this will be only done at the Natanz site. The agreement also contains provisions for intrusive international weapons inspections at Iranian nuclear and military sites. In return for complying with these provisions, all UN Security Council sanctions in regards to Iran’s nuclear program will be lifted. Iran’s President Hassan Rouhani had previously said that the deal would usher in a new era between his country and the West.